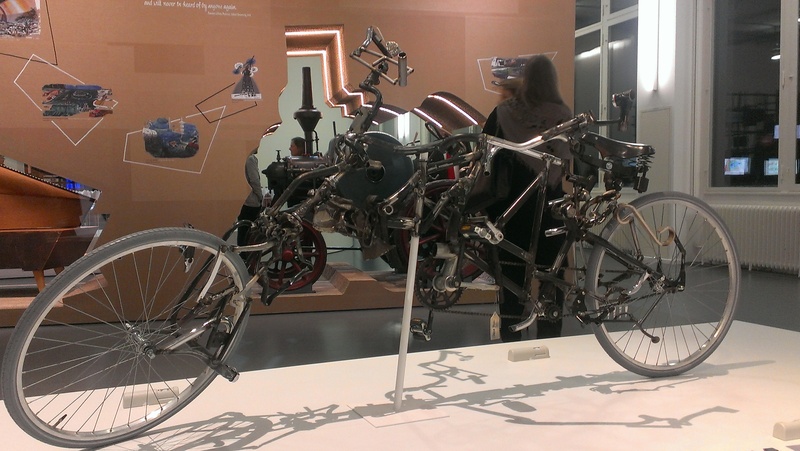 Victor Sonna’s art bicycle on display at the Deutsches Museum. The “Welcome to the Anthropocene: The Earth in our Hands” exhibition runs until January 2016, in collaboration with the RCC. Photo by Eliza Encheva, text by Stephanie Hood. Sonna attended the opening evening of the exhibition on 4 December 2014, engaging in discussion with the musuem’s head of research and director of the RCC, Helmuth Trischler. Trischler represented both partner institutions and guided the exhibition visitors through the opening ceremony with the director of the Deutsches Museum, Wolfgang Heckl. Visit both the Anthropocene exhibition at the Deutsches Museum—which is open every day from 9am to 5pm—and the correspondent virtual exhibition, created by the RCC’s Environment & Society Portal in collaboration with the museum, which will continue to develop throughout 2015.